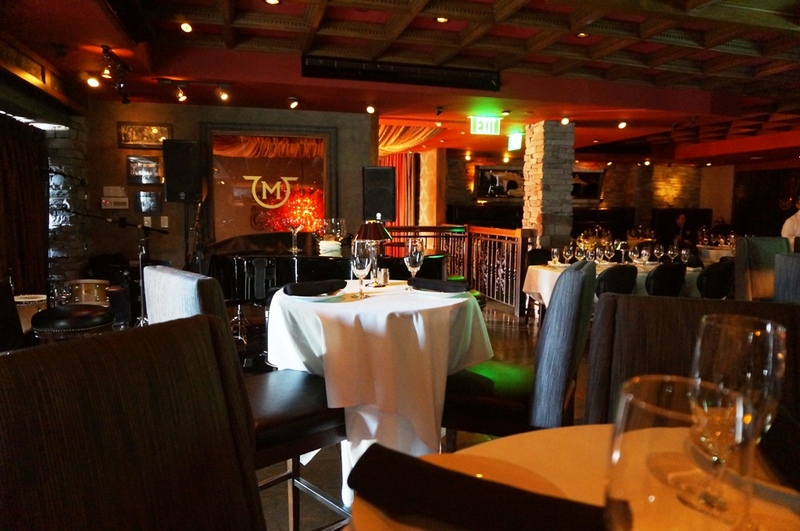 Mastro’s is probably the most prominent and well know steakhouse in LA. 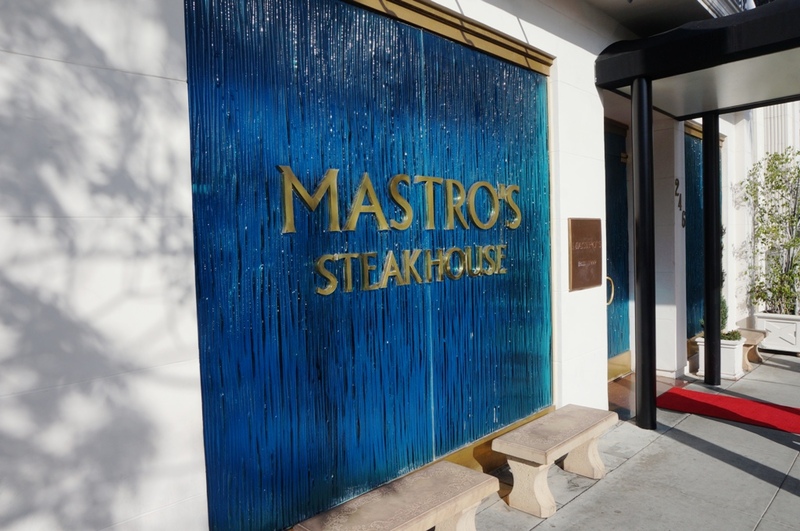 When I asked a bunch of people where the best steak in LA was they all told me Mastro’s, and I quote “it’s where the stars go”. The steak part of the menu was large and I didn’t know what to get, everything was corn fed USDA prime, the two exceptions were the special which change bi-weekly, the day I was there had them holding a Japanese wagyu steak and an F1 wagyu from Australia. 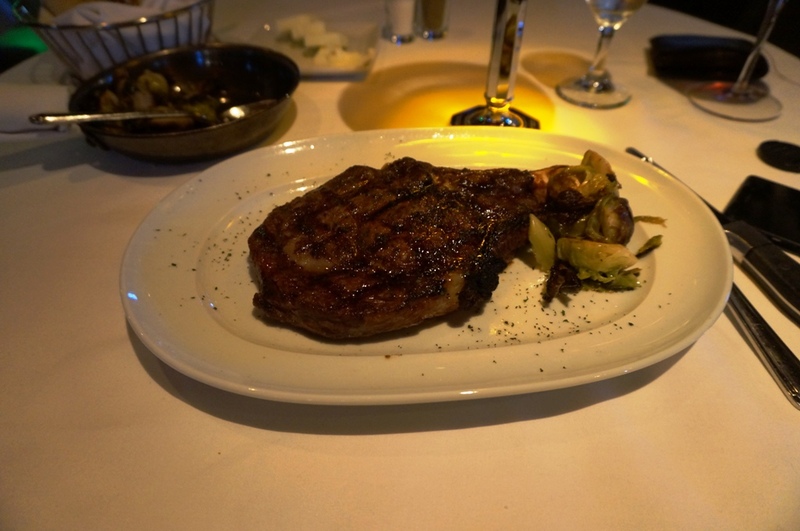 Being in America I decided to choose American, in particular their bone in rib eye medium rare, ($59USD) weighing 22oz or 620g if you will. It was going to be big but I also ordered a half serve of their Brussels sprouts. While I waited I noted the decor and ambiance, a sort of high class restaurant with steakhouse thrown up on it to bring back a minuet rustic feel. 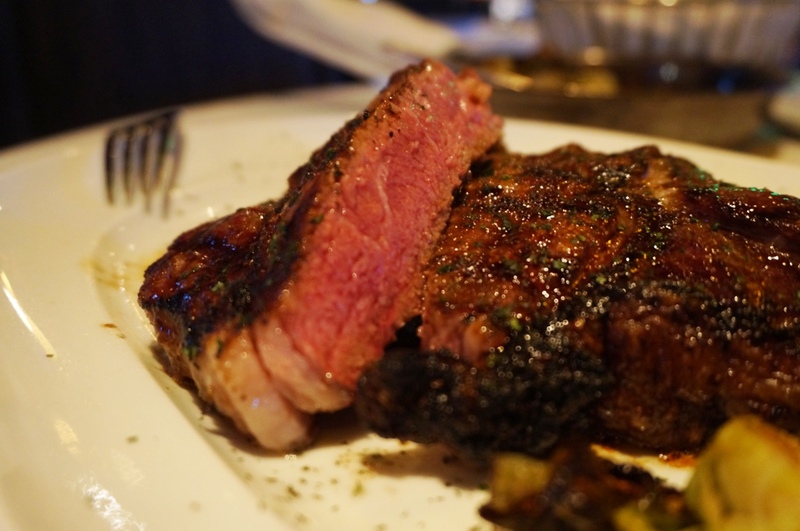 The steak arrived and was served similar to Ruth Chris’, the plate was scorching and it had been finished with clarified butter and parsley. The waitress also mentioned that they serve it a little less than you order it so that it’s not overcooked once it reaches the table. Taking special care to ensure I didn’t touch the plate I started in, the beef was great, full of flavour, a great medium rare and marbled just enough. The char on the outside couples with the melted butter and sweet beef flavour was fantastic. Even the Brussels sprouts were amazing. My only concern was the ongoing cooking; it eventually turned the steak from a masterpiece to an overcooked and significantly less tender piece of meat. 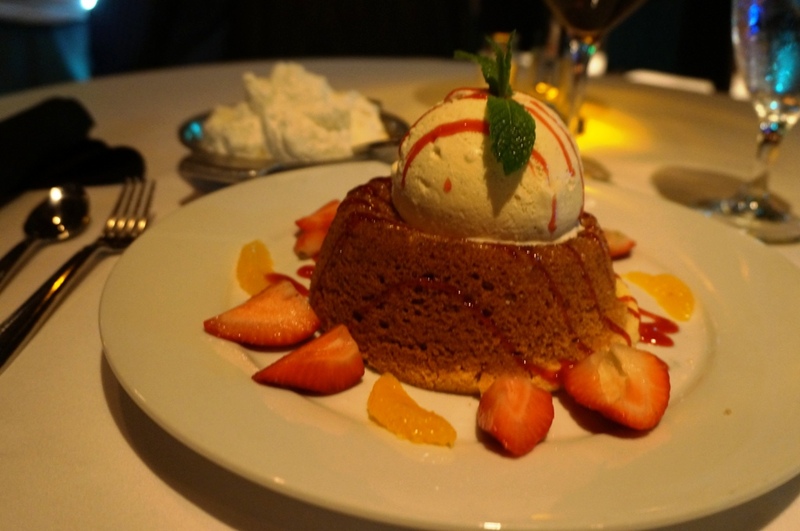 Now I usually don’t mention service but in this case they not only got everything right and were super attentive, they also gave me a free dessert, their butter cake which was phenomenal. 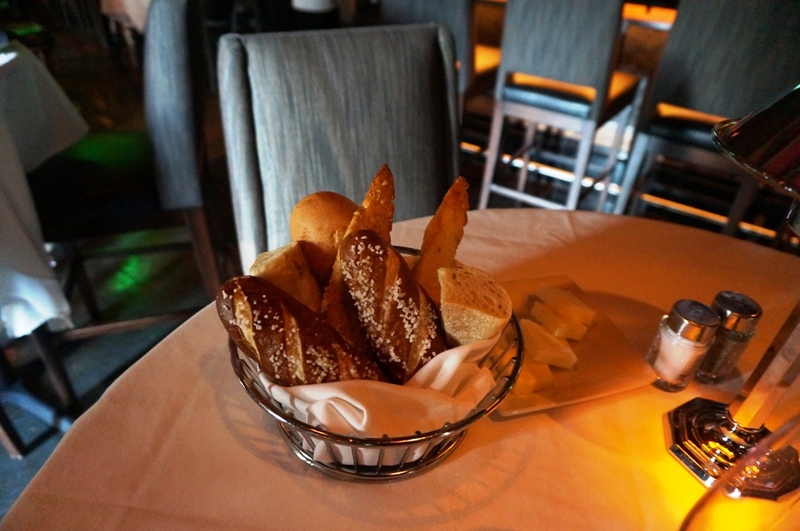 I understand the hype behind Mastro’s now, the place is doing everything right, food, service and wine all fantastic. Posted on July 14, 2015 October 13, 2015 by AdrielPosted in LA, Steaks, United StatesTagged America, Great, LA, Mastro's, Rib Eye, Steaks. Looks delicious! Will have to add this to my list of places to visit when I’m in LA.